Lucra Ltd pride themselves on bringing together a group of skilled professionals, each one is an expert in their field. 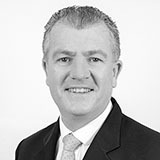 Bob is based at our offices in Sutton, Surrey. He actively supports the local Sutton Business Club. Outside of work he’s an active member of Banstead Downs Golf Club and plays a mean game of golf (when time allows). He enjoys good wine and travelling to different parts of the world. He is also a staunch supporter of both Chelsea and Wolves. EMAIL COMMUNICATIONS ARE NOT SECURE AND FOR THIS REASON LUCRA LIMITED CANNOT GUARANTEE THE SECURITY OF THE EMAIL OR ITS CONTENTS OR THAT IT REMAINS VIRUS FREE ONCE SENT. Trevor is a very active member of the Bromley Lawn Tennis & Squash club and he has also recently taken up playing golf, but this is, very much, work in progress. He is a very proud grandfather to 4 wonderful grandchildren, and when time allows, he enjoys international travel. As we all know, West Ham won the World Cup in 1966. 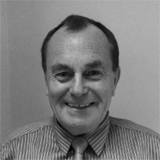 Richard Latteman is our Bromley based adviser. He has just celebrated his pearl wedding anniversary. His daughter has recently passed her driving test which has freed up a lot of time from being the family taxi service! His advanced years don’t stop him playing 5-a-side football and he is a Chelsea supporter. He has played an active role in his local church for many years. 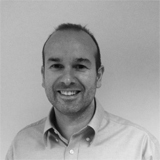 Carl lives in the Beckenham area and is a proud father of twin girls. Once a keen sportsman all of his spare time is now devoted to his daughters, apart from when the football is on. 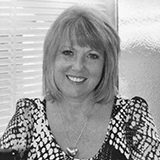 Karen is based at the Sutton office and lives in Epsom. She has worked locally as a financial adviser for 16 years and in her leisure time she enjoys travelling, dining out and skiing. 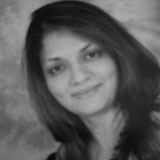 Neena is based at the Sutton office and lives in Carshalton Beeches. She comes from a banking background and has worked locally as a Mortgage Adviser. She loves International travel, yoga and enjoys experimenting with health food cooking. 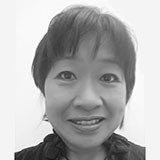 Born in Yorkshire of Chinese origin, she has lived and worked abroad for many years before settling in Surrey. Her global experience enables her to deal with clients from different cultures and from all walks of life. Sheila’s focus is on building long lasting relationships with clients and families by putting them at the heart of her business. Outside of work Sheila enjoys travelling and going to the gym. 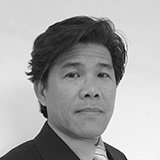 Talap is based at the Sutton office and lives in Cheam. 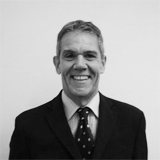 He has worked in London as a financial adviser for 14 years and in his leisure time he enjoys playing golf, tennis and travelling. 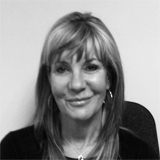 Julie lives in Banstead and has been a Mortgage & Protection Advisor for over 32 years. She loves spending time with her family, walking her dogs and enjoys things that make her smile. 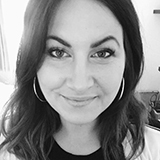 Natalie is based at the Sutton Office and has been with Lucra since 2007 as an Administrator. She lives in Old Coulsdon with her partner and Son and enjoys the juggle of work/home life. In her leisure time she enjoys a good book and the odd glass of wine. 1 At Lucra we want to get to know our clients well so that we can better advise them. We like to know a bit about your current situation as well as your hopes and aspirations. This can be done over the phone or at a face to face meeting at a time to suit you and entirely at our expense. 2 Once we have a good idea of what makes you tick the next step is to research the whole market to find the very best solutions for you. We will produce a report and make some recommendations including the cost of implementation. You then have the option to engage us to implement those recommendations. 3 A financial adviser is “not just for Christmas” so we are looking for long term relationships with clients as much as helping to solve the short issues that you have. So whether you don’t know where to start or you simply need a second opinion give us a ring for a comprehensive no strings attached initial chat.